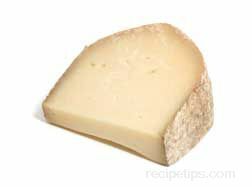 Berkswell is a well known English hard cheese produced from sheep's milk in the Berkswell region of England. Covered with a tough rusty tan rind, the outer coating of this cheese contains numerous ridges, which occur because of the basket that is used as a mold to form the wheels of cheese. When fully aged for four months, Berkswell develops a lanolin scent and a semi-hard to hard paste. The cheese has a chewy texture, which becomes increasingly hard as it ages. Berkswell has a flavor similar to that of roasted onions combined with nuts. It also has a mild fruity overtone. Because Berkswell melts well, it is a good choice for grating onto hot soups, chili, potatoes, pasta, and vegetables. It is also good grated onto salads or sliced and served as an appetizer or table cheese. Cheddar is an English cheese made from the whole milk of cows. 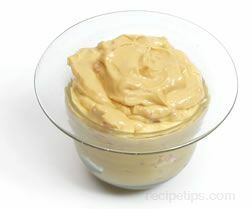 The color of the cheese is naturally creamy white, but it becomes the traditional orange color if a substance known as annatto has been added. The flavor of Cheddar cheese ranges from mild and sweet to sharp and tangy, which is a result of the age of the cheese. 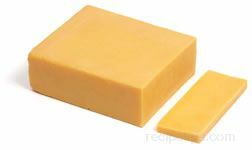 Mild cheddar is aged from two to four months, medium cheddar is aged from four to six months, sharp cheddar is aged from six months to one year, and extra sharp cheddar is allowed to age for one year or longer. Cheddar cheese is often served in sandwiches with luncheon meat; in open or closed-faced grilled cheese sandwiches; as an appetizer or snack with meats, fruit and breads; as a dessert cheese with pie (such as apple pie), or as an ingredient in a variety of cooked dishes and baked goods. 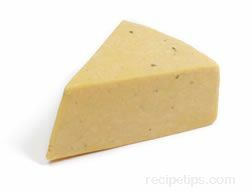 It is a cheese that is also served in hot soups and pasta dishes. Macaroni and cheese is perhaps the most popular pasta dish in which cheddar cheese is most often used. Cheshire is an English cheese dating back to the 12th century, which makes it one of the oldest English cheeses still produced today. Made from cow's milk, Cheshire has a fine texture that is moist, but it can become somewhat crumbly. The flavor of Cheshire is mild and slightly salty, which is derived from the soils around the Cheshire region. The flavor sharpens as the cheese ages. White Cheshire has an ivory to white color, while Red Cheshire has a deeper peach to orange color that is created from the addition of annatto dye to the cheese. 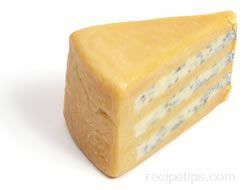 Blue Cheshire has a natural blue mold that pervades the cheese as it ages. The somewhat open, crumbly texture of Cheshire allows this "Blue Fade," as it is known, to occur, becoming more distinct the longer the cheese is allowed to age. This blue variety has a sharper flavor than White Cheshire and Red Cheshire. The different types of Cheshire cheeses are often served as snacks, appetizer cheeses, or as an accompaniment to fruit. Cheshire is also used in baked foods and goes especially well with egg dishes. The traditional use for Cheshire cheese is as an ingredient in the dish, Welsh rarebit. Coombe Castle Cheddar is a variety of cheddar cheese made from cow's milk and produced in the Coombe Castle region of England, an area close to the origin of cheddar cheese. This variety of cheddar is made as a white or a golden orange cheese with a smooth texture. The flavor may range from very mild (as a fresh cheese) to nutty or sharp and tangy (as an aged cheese). 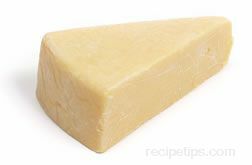 It is marketed as a mild cheddar when aged for three months, a medium cheddar when aged six months, a mature cheddar when aged almost one year, and a very mature cheddar when aged for periods longer than one year. Coverdale is an English cheese made from cow's milk. It has an off-white color with a light yellow rind. The flavor is mild and light and the texture is hard and firm. It is produced in various sized rounds. Derby is a creamery cheese made from cow's milk. It gets its name from the Derbyshire region of England where it originated. Produced in various sized cylinders, Derby cheese has a natural yellow rind that covers a light ivory to yellow interior. The texture of the cheese is somewhat hard and open, similar to cheddar, and the flavor is mild and buttery. 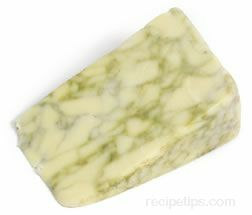 The most common variety of Derby cheese available is the herb-flavored Derby, which has the traditional light ivory and yellow color of regular Derby but also has blended light green areas because of the herbs that are used, such as sage. Derby cheese is used mainly as a table cheese or a cheese for grilled foods. Double Gloucester cheese is a type of English cheese that at one time was made only with the milk from Gloucester cows, which are now almost extinct. There are two types of Gloucester cheese: Single and Double. The main difference between the two is that Single Gloucester is made with skim milk combined with a small amount of whole milk and Double Gloucester is made entirely from whole milk. Both types have a natural rind and a hard texture, but Single Gloucester is more crumbly, lighter in texture, and lower in fat. Double Gloucester has a stronger flavor than Single and is a bit firmer. It is allowed to age for longer periods than Single. Both types are produced in round shapes, but Double Gloucester rounds are larger. Double Gloucester can be enjoyed as a snack or appetizer. It is a good choice for grating or grilling. Farmhouse is a term that is commonly applied to any of the different types of European cheeses that are made by traditional cheese making methods and are produced from the raw milk of animals, such as cows, goats, and sheep that are raised on small regional farms, mountain chalet farms, or mountain huts. The quantities of cheese produced from farmhouse methods are small. When approved for production by the European AOC (Appellation d'Origine Controlee) the cheese is categorized as a "fermier" or "farmhouse" variety. Although this term originated in Europe, it is also often used to classify American varieties of cheese. Friesla is a sheep's milk cheese produced in the Devon region of England. It has a hard natural rind covering a hard-textured cheese. The flavor and aroma of Friesla cheese is somewhat sweet. Gloucester is a variety of English cheese that was traditionally made only with milk from Gloucester cows, which are now almost extinct. Today, the cheese is made from milk from a variety of different breeds. There are two types of Gloucester cheese: Single and Double. The main difference between the two is that Single Gloucester is made with skim milk combined with a small amount of whole milk and Double Gloucester is made entirely from whole milk. Both types have a natural rind and a hard texture, but Single Gloucester is more crumbly, lighter in texture, and lower in fat. Double Gloucester has a stronger flavor than Single and is a bit firmer. It is allowed to age for longer periods than Single. Both types are produced in round shapes, but Double Gloucester rounds are larger. Gloucester cheese is also available as a Gloucester-Stilton combination with the Gloucester cheese layered over and alternating with inner layers of Stilton blue cheese. The flavors of both cheeses complement each other, which makes Gloucester-Stilton a distinctive tasting appetizer cheese or dessert cheese. Gloucester-Stilton cheese is a combination of Double Gloucester Cheddar cheese and alternating inner layers of Stilton blue cheese. Double Gloucester cheese is an English cheddar that historically was made only with the milk from Gloucester cows, which are now almost extinct. The cheese is now produced from the milk of other cattle breeds. Stilton cheese is an English blue cheese that is made from the whole milk of cows. It becomes more flavorful with age. During the aging process, it is periodically pierced with stainless steel needles to encourage the growth of mold that creates the yellow interior with blue-green veins running throughout. Stilton is rich and creamy but somewhat crumbly. Gloucester-Stilton cheese is highly valued for its superior flavor that goes well with Port wines. The flavors of both cheeses complement each other, which makes Gloucester-Stilton a distinctive tasting appetizer or dessert cheese that can be served with beer, hard cider, or wine. Gloucester-Stilton cheese is also referred to as Huntsman English Cheese or Double Gloucester and Stilton cheese. 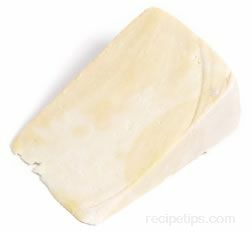 Gubbeen is an Irish farmhouse cheese produced from cow's milk. The rough textured rind on the outside of this cheese covers a smooth and somewhat crumbly inner cheese, which is pale white in color. Good for snacking or grilling, this cheese has a rich earthy flavor that makes it a good choice as an appetizer or table cheese.